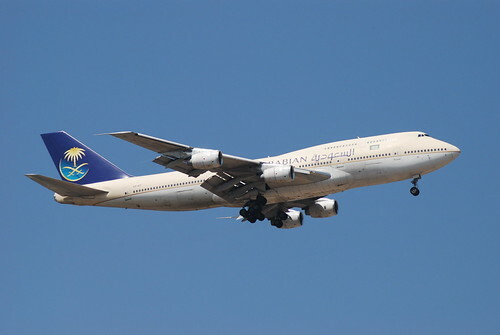 Oman Air has officially announced that it shall be increasing its flights to BKK-Bangkok from June 1st 2010 as the carrier looks to consolidate its presence on this all important route which sees a lot of O&D traffic as well as generating a lot of 6th freedom transit traffic from Europe and within the GCC. This new 9th flight will be operated by its Airbus A 330-300 thus in total 3 weekly A 333 flights will be flown along side 6 weekly ones using an A 332. Air Berlin based out of Berlin, Germany has officially confirmed that it shall be launching new nonstop flights to DXB-Dubai from November 1st 2010. Frequencies will be 3 times per week nonstop and the carrier will be utilizing an Airbus A 330-200 to operate the route on WED/FRI/SUN. KLM has officially announced that it shall be increasing frequencies on its popular Amsterdam-Tokyo Narita route from October 1st 2010 onwards. Currently, daily nonstop flights are operated by a Boeing 747-400 Combi, however from Oct 1st, frequencies will be increased to 9 times per week nonstop using a B 744 Combi daily + 2 weekly B 744 full pax configuration. BOM - frequencies reduced from 10 weekly to daily nonstop flights using a 2 class configured B 773A. DEL - frequencies increased from 12 weekly to double daily nonstop flights using a mixture of A 333s and B 772As. Lufthansa has officially revealed details of the configuration of its Airbus A 380 cabin which is revealed to be seating 526 passengers in a 3 class configuration. The layout calls for the entire upper deck to be an exclusive premium cabin with 8 first class + 98 business class seats. The lower cabin will only cost of 420 economy class seats. LH though has not revealed the exact seat product features of its premium cabin on board this cabin but it has left many industry on lookers surprised with the number of business class seats it is installing on board considering the worldwide economic climate forecasted for the next three years. The initial routes that LH's A 380s are going to be deployed on are Tokyo, JFK, Delhi, Bangkok, Jo'Burg, Bangkok and China. 98 business class seats means someone in LH's business strategy planning is banking on a strong turnaround for the worldwide economy during the next 3 years. Best of luck to them in trying to get a decent load factor. However there are 2 ways in which one can look at this cabin configuration especially of the business class. 1. In its B 744s, LH has 80 business class seats installed and with the A 380 being positioned as an aircraft capable of carrying 25% more passengers, therefore one may feel that the LH planning department folks have taken the safe route by increasing J class cabin size accordingly. 2. However, one may also feel that by having a large J class A 380 cabin on routes to China, BKK, SIN, HKG, NRT, JNB and DEL in particular, LH will be trying to poach away a size able chunk of the J class market share that currently EK/EY/QR/WY/TK/RJ/MS enjoy out of Germany/Europe due to their cheaper prices. One shall not be surprised to see out of these 98 J class seats, at least 20-24 being reserved in the lowest fare inventory category matching the cheap J class fares of the Arab carriers/TK/RJ/MS and KLM on key Asian/African routes in order to 'regain' vital market share! DEL - capacity increased from daily A 343 to daily A 346. 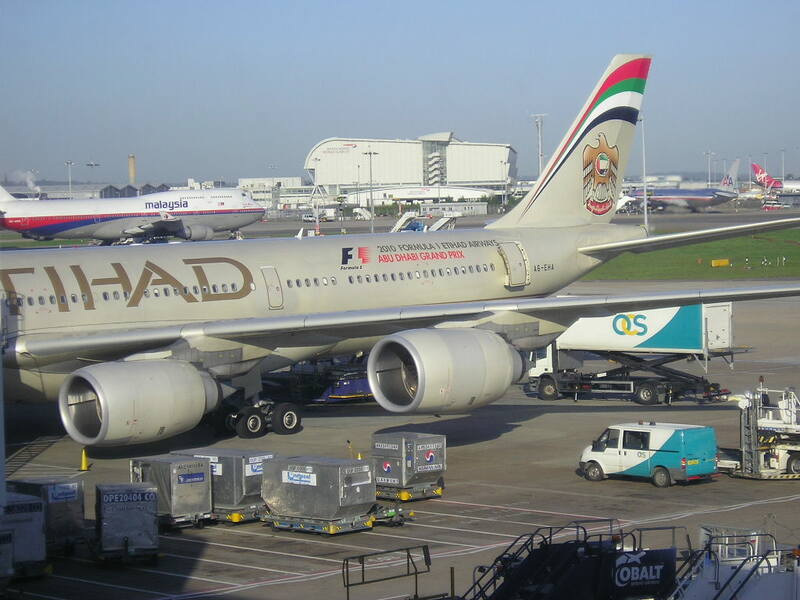 DXB - capacity increased from daily A 343 to daily A 346. RUH - 3 weekly nonstop flights using a B 738 to continue year round. TAS - 3 weekly nonstop flights using a B 738 to continue year round. LH has also officially announced that it will be increasing its flights to Abu Dhabi and Muscat from Frankfurt effective Oct 31st 2010 with an additional weekly flight being flown as FRA-AUH-MCT. Thus this route becomes a daily operated flight using an Airbus A 330-300. 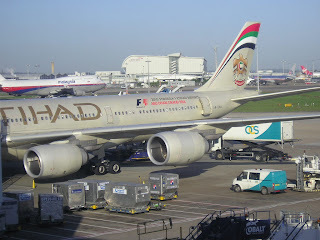 In addition, LH too confirmed that it shall be increasing capacity on its new route to EBL-Erbil, Iraq from the on set of the IATA Winter 2010 season. 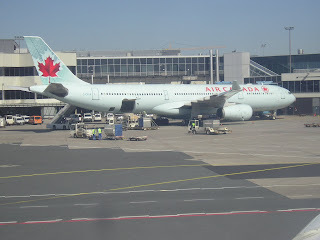 Currently, flights are operated nonstop from its main FRA hub 5 times per week using an Airbus A 319. However from Oct 31st onwards, LH will be increasing services to daily nonstop on this sector using a larger Airbus A 320 which seats 38 more passengers than its A 319s. Saudia Airlines has officially announced in a company newsletter memo that it will be purchasing 12 brand new Boeing 777-300ERs which shall be used to gradually replace its aging fleet of 9 Boeing 747-300s + 3 Boeing 747-100s. These aircraft have the capability of also flying nonstop to the U.S. East coast for which they are destined to be used on as well. The configuration of its B 773ERs are not revealed as yet but many will be configured in 2 regional 2 class layout to operate flights to MNL, Pakistan, India, DAC and CMB where as others receiving the 3 class configuration will be used on prestige routes such as USA, LHR, China and Tokyo. YYZ / PEK - frequencies increased from 4 weekly to a daily nonstop flight using a Boeing 777-300ER. YYZ / PVG - frequencies increased from 3 weekly to a daily nonstop flight using a Boeing 777-200LR. 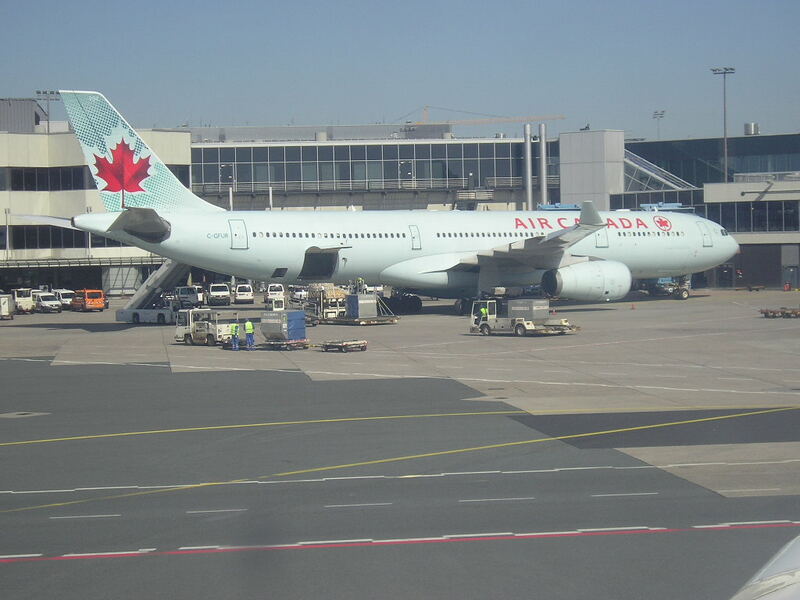 YVR / PEK - frequencies increased to 5 weekly nonstop flights using a Boeing 767-300ER. YVR / ICN - frequencies increased to daily nonstop flights using a Boeing 767-300ER. YVR / PVG - frequencies increased to 5 weekly nonstop flights using a Boeing 767-300ER. 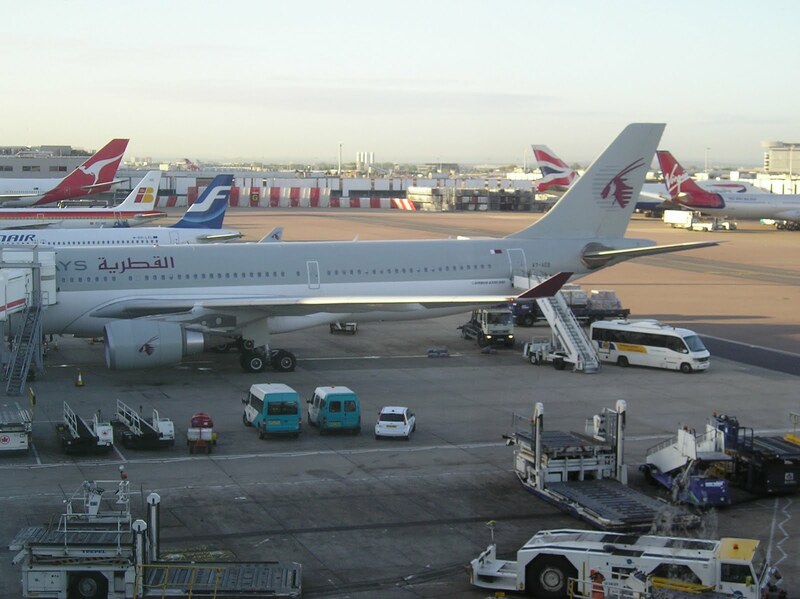 Qatar Airways has revealed on the GDS that it will be reducing capacity to New York JFK between August 1st and October 31st as it seems that it needs a spare Boeing 777-300ER to extra Umrah and Eid seasonal flights between Aug 10-Sept 30 in particular to various parts of the Middle East and Indian subcontinent. From the current daily nonstop flights using the Boeing 777-300ER, QR shall be deploying between Aug 1st-Oct 31st, two weekly B 777-200LRs along side 5 weekly Boeing 777-300ERs. In addition, QR has officially confirmed that it has been granted permission by the Iraqi Govt to launch flights to Erbil, Najaf and Baghdad. 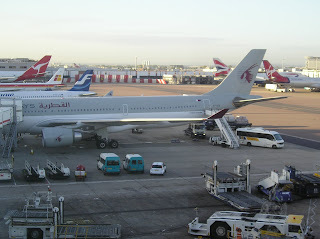 Plans call for A 320s and A 321s being used on DOH-Iraq flights from the on set of the IATA Winter 2010 season. KHI - capacity increased to 5 weekly A 346s + weekly A 320 + weekly B 773ER. LHE - capacity increased to 4 weekly B 773ERs + weekly A 346 + weekly A 332 + weekly A 345.